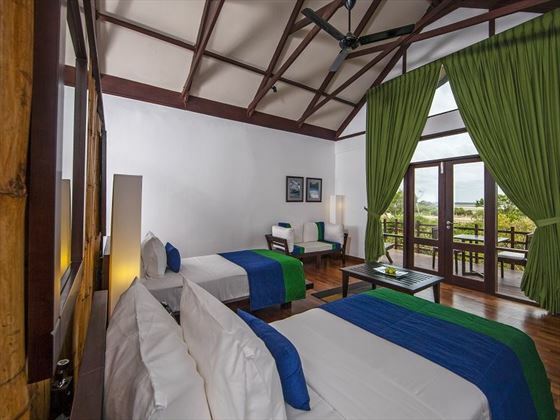 With luscious, tropical greenery, secluded teak walkways, beautiful birdsong and a peaceful lotus pond, staying at this retreat feels as if you’ve found yourself in a jungle paradise. We love that the hotel was designed to incorporate the existing trees and wildlife – we find it creates a wonderful, immersive experience. This hotel is brimming with wonderful moments you won’t forget. Wander across the bridge for a refreshing cocktail at the bar, or stroll along to the floating platform by the pool to relax and soak up the sunshine. The cascading waterfall and the soft sounds of waves lapping against the shore is the perfect soundtrack to a tranquil stay. 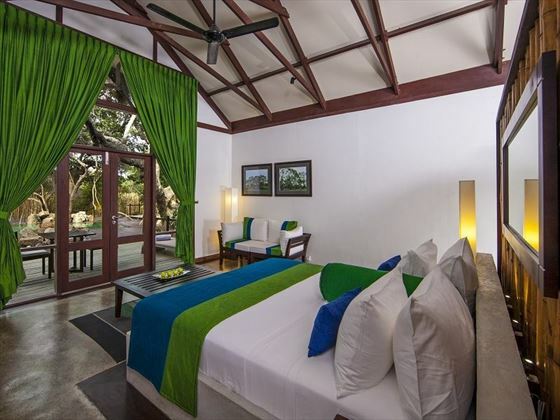 The cabins here are utterly charming, adding a touch of authentic Sri Lankan character with their dark woods, cool artefacts and gorgeous views of the lagoon, the jungle or the beach. 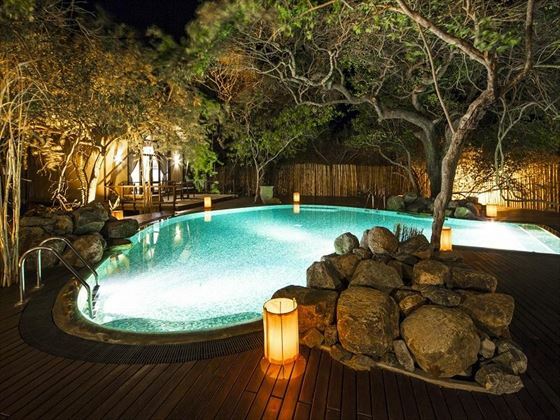 The Beach Cabins with their private walkways straight to the sugary sand are truly indulgent, but our favourite is the Jungle Cluster Cabin, with authentic thatched roofs and sparkling private pools. Local ingredients and freshly caught seafood are the main enticement when it comes to the hotel’s restaurant. Fresh fish cooked to perfection with a delicious Asian twist…what could be more mouth-watering? 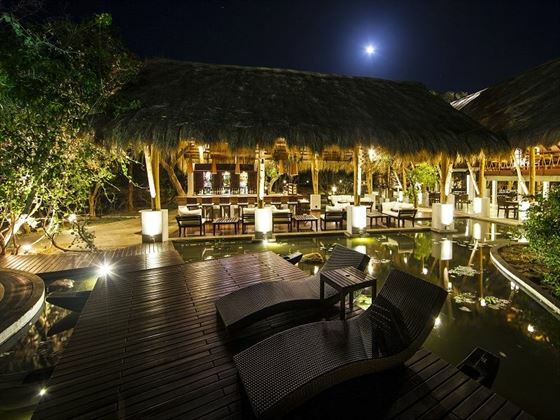 Add even more elegance and uniqueness to your stay with a private dining experience – we love the barbecues on the beach, tucking into sumptuous cuisine made for you by your own chef as you gaze at the starry night sky. Bliss. 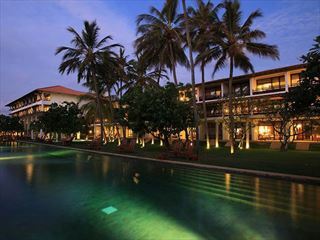 This beautiful retreat is nestled on a sweeping golden sand beach, close by to Trincomalee, the port city of Sri Lanka’s Eastern Province. 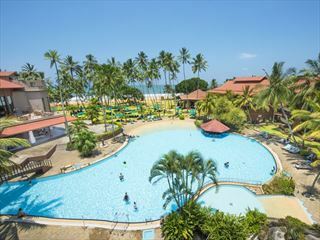 The sensational jungle and beach setting lends itself to a relaxing and revitalising holiday, but there are plenty of activities close by should you fancy a break from unwinding on the beach. 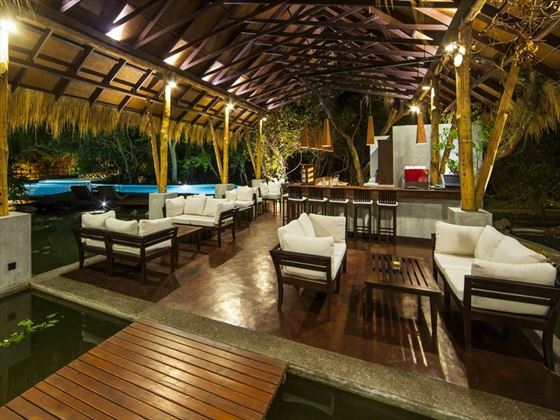 Explore the hot springs at Kannya or enjoy a phenomenal snorkel off the coast of Kuchchaveli. We’d recommend visiting the Koneswaram Temple too, and the picturesque Lover’s Leap Falls. 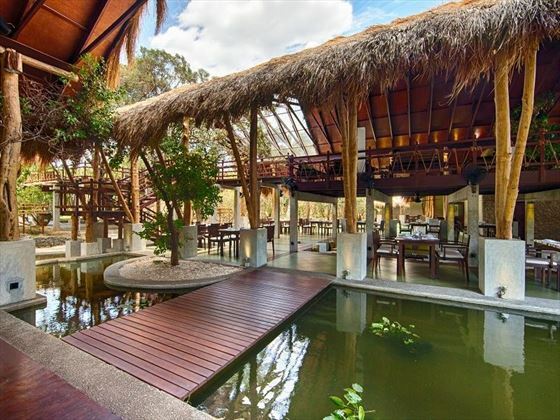 Lagoon Cabin – Charming accommodation with dark woods and bamboo creating a traditional cabin feel, boasting a small balcony that looks out onto luscious greenery. 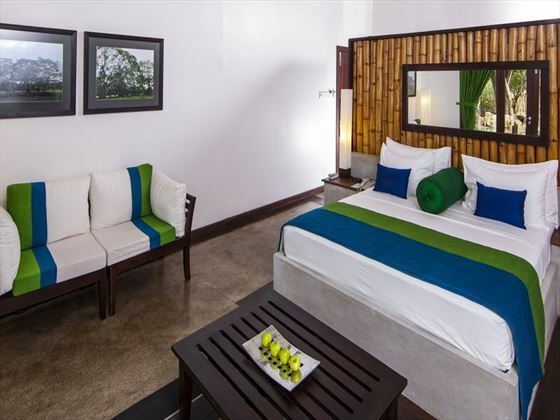 Jungle Cabin – Gorgeous cabins with authentic Sri Lankan touches, including the bamboo headboard and organic cotton covered furnishings. These cabins feature a lovely outdoor living space with two daybeds, a dining table and chairs. Beach Cabin – These secluded cabins are nestled on a private beach, adding a traditional island touch with their thatched lluk leave roofs. These cabins boast a private outdoor terrace, which leads straight on to the sugary sand beach. 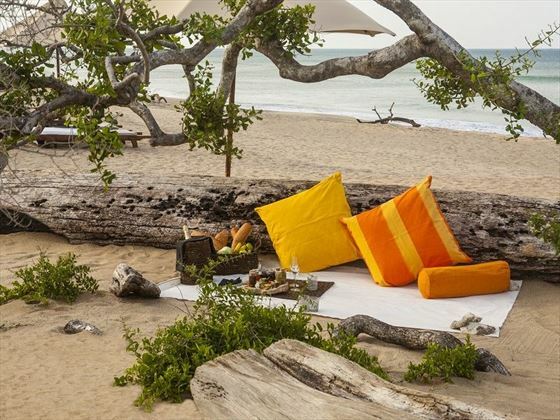 Jungle Cluster Cabin – The villas are the most luxurious, offering a taste of the authentic with thatched roofs and Sri Lankan artefacts, as well as a wonderful private pool. 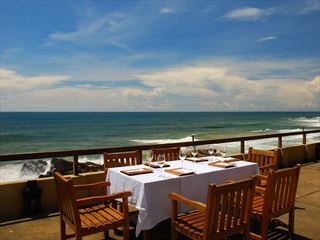 The Restaurant – Jungle Beach’s idyllic restaurant offers a tantalising taste of the authentic Sri Lankan cuisine. Created with sumptuous local ingredients, including fresh seafood plucked straight from the sea, this divine food is blended with delicious Asian and international flavours to create a new and exciting foodie adventure. Private dining – Dine in the gorgeous restaurant, or add an extra dose of romance with a private dinner anywhere you wish, whether that be dinner by the pool, a picnic lunch on the beach, or an intimate beach barbecue with a personal waiter and chef.